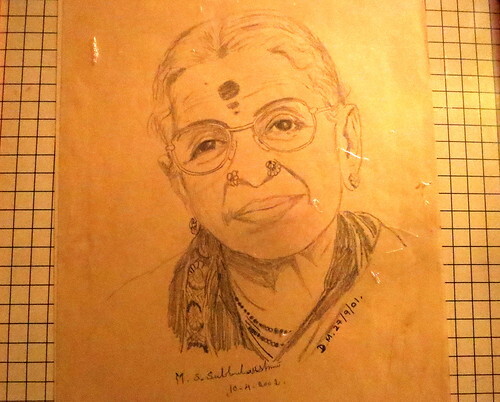 about “the unsung pathfinders who helped M S Subbulakshmi. In case the link doesn’t work, the author, Gopalakrishna Gandhi, talks about MS’ mother, Shanmukhavadivu, and Sadashivam’s first wife, Apitakuchambal, who both were left behind in the journey of MS to superstardom. MS was a personal (and close) friend of my mother’s elder sister Saraswathi, and even I didn’t know about Apitakuchambal! I knew, of course, that there would have been a discarded wife in the offing..men of Sadashivam’s age did not remain unmarried in those days. Madurai Shanmukhavadivu was appointed to teach my young,newly-married periamma, who was married into a progressive family in Madurai. The mother in law wanted the young woman to learn the fine arts, rather than be relegated to the smoky kitchen. She was to teach her the veena, but most of the time, she would send her 14 year old daughter, Kunjamma. My Saraswathi Perimma was not much older, and the two became firm friends. When Kunjamma went for her first concert, my periamma lent her jewellery to wear, and was scolded by her mother in law for lending her valuable jewellery to someone who, after all, was, to use the less-than-elegant term, a ‘thevadiya” (a corruption of “devadasi”). But her father in law, apparently a good astrologer, predicted that this girl would become very famous, and not to underestimate her! The last time I visited her in Chennai, she was bed-ridden. There was a manager called Atma who was screening everyone, and she told me, “This atma (inside me) wants to meet people, but that Atma (outside) doesn’t allow it.” She was rather disoriented, and forgot that my Periamma had passed away some years ago…she enquired fondly after her, and seemed to think that I was a very young girl. Memories…I look up at the sketch I’ve made of MS, that carries her signature, and my mind slowly floats back to the present. 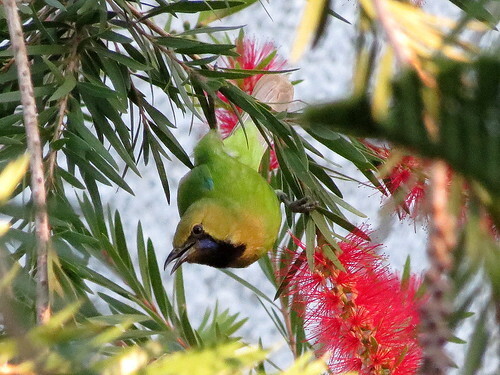 The bird that poops on my head, that’s the Mischiefbird…. Line 7 by Adnan Raja. You are currently browsing the Deponti to the world blog archives for October, 2016.